My card uses the adorable new Happy Owlidays stamp set. Oh my word! This set is so cute! I started off by taking a panel of white cardstock and stamping the wreath image on to it with Memento Tuxedo Black ink. I then stamped the string so that it look like it hanging from the top of the card. I coloured the wreath with Copic Markers, adding light blue dots around it for some interest (the colours I used are listed below the supplies section). I then stamped the sentiment from the set below. On a separate piece of cardstock, I stamped one of the owls from the set using more black ink. I coloured him with Copic Markers and die cut him out using the coordinating dies. The panel was added to a white A2 card base with foam sheet and DST and then the owl added to the wreath, so that it looks like he is standing on the bow, with thin foam tape. To finish off, I added Nuvo White Blizzard Drops to the hat. 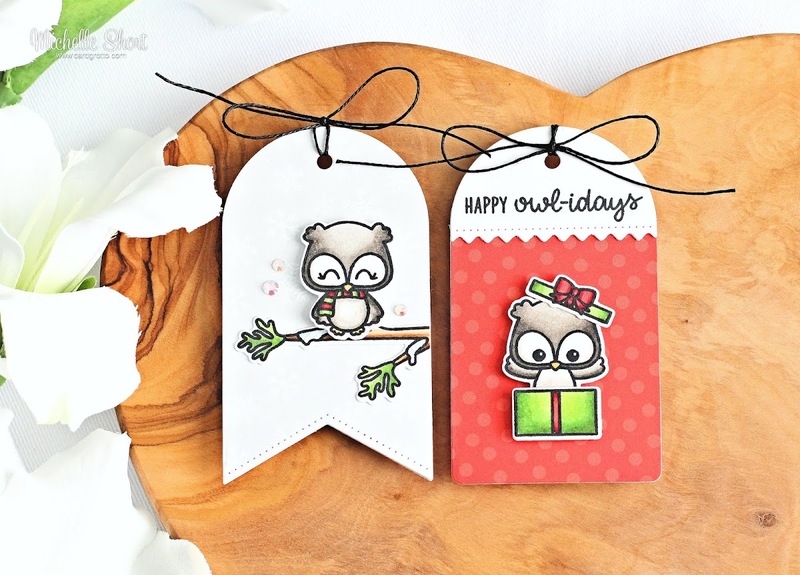 Next up I created two tags using the other two owls in the set. I took the Build A Tag #1 Die set and cut two tags from white cardstock. I then die cut another two with paper from the new Holiday Cheer Paper Pad. I also die cut a third white tag from white and further cut that down with the topper piece. Each patterned paper tag was added to a white cardstock one for stability and then the topper piece added to the red one. I took the sentiment from the set and stamped this on to the topper piece. I then stamped the present, present top, branch and owls on to more white cardstock. They were coloured with Copic Markers and die cut out using the coordinating dies. For the red tag, I adhered the owl first with foam tape and then the present bottom and top were added on with tape runner. I then added Aqua Shimmer Pen to the present. For the grey tag, I adhered the branch on to the tag with tape runner and then the owl on top with foam tape. I added White Blizzard Nuvo Drops to the snow and finished off with a few iridescent jewels. To finish off, I added twine through the top of the tags. COPIC MARKERS: Owls - W7, W5, W3, W1, W00, Y26. Wreath - YG67, YG17, YG23, YG03, YG01, R89, R37, R27, R24. Branch - E57, E55, E53. Leaves - Y67, Y17, Y23. Present, scarfs and hat - the same reds and greens used already. For the hop, you should have arrived here from the fabulous Vanessa. Next on the hop is the amazing Lexa. However, if you get lost along the way, you can always start back at the Sunny Studio Blog. 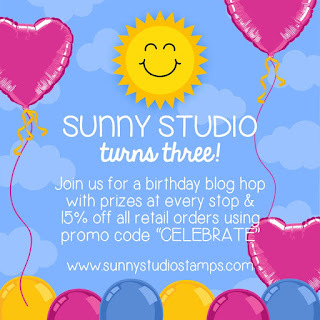 To celebrate Sunny Studio's third birthday, they are offering 15% off all retail orders using the code "CELEBRATE" until October 1st 2018. 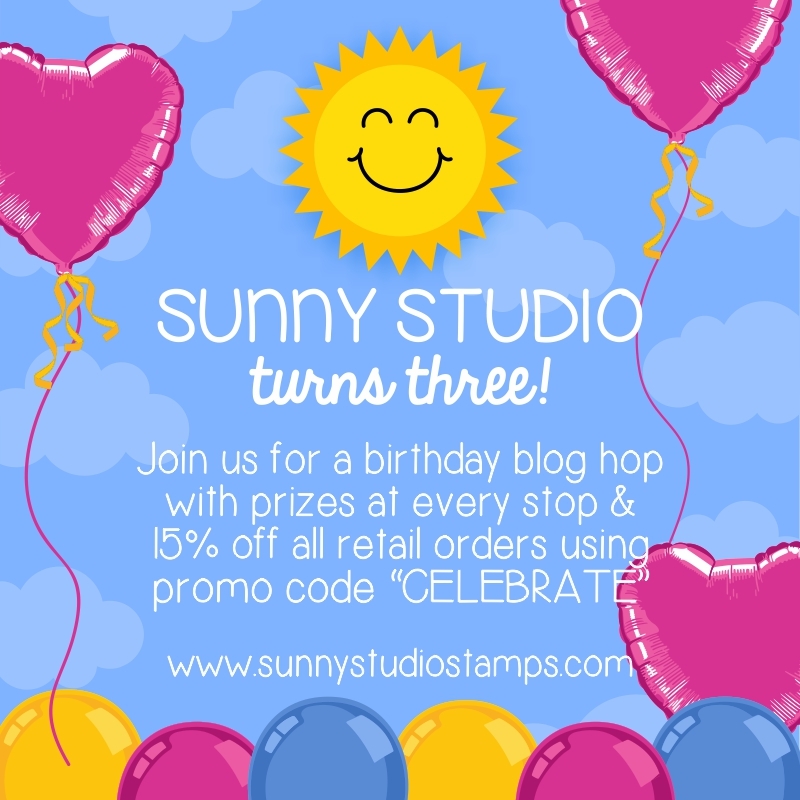 Sunny Studio are kindly offering a $25 gift certificate to the Sunny Studio Store for each stop on the hop. To be in with a chance of winning, leave a comment here by October 1st 2018 at 11.59pm PDT. The winner will be announced on the Sunny Studio Blog on the 5th October 2018. Good luck! Thank you so much for visiting me today, I really do appreciate it. I hope you have fun on the rest of the hop! Have a great day! THe owls are so cute! This little owls are simply the cutest! Love the cute tags and sweet card with the owls. Your creations are beautiful as always! Your cards are adorable! Love this release and happy birthday Sunny Studios!! Love the little owl. Your tags are so sweet! O my goodness, these are all so sweet. I especially love the little tags. Adorable tags! I need to get to the task of making mine for this year! I enjoy you and love you clean and simple designs. Thanks for sharing. 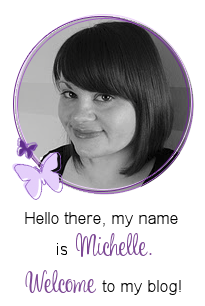 Cute projects, Michelle! The tags are so sweet. I love the owls. Cant wait to get mine. I always enjoy watching your videos. Your are so talented. Oh my gosh - what an adorable card, and those tags!!! I think I will definitely have to have this set JUST so I can make tags like those! SOO cute! I love the "punny" tags and card! Cute card! Love the tags, both are beautiful! The blue dots around the wreath & owl really add a lot! It is a great card! I would love to receive one of the tags. I would use it as a Christmas ornament! The owl tags are so cute! Great copic coloring on the card too! Oh the owls and tags! LOVE! LOVE! LOVE! Gorgeous card and tags Michelle :). I love them, especially the owl. I love that little wreath! This entire release is awesome. Adorable card and tags! I love the tags. This year, I'm going to make tags way before I need them! I like the tags you made. 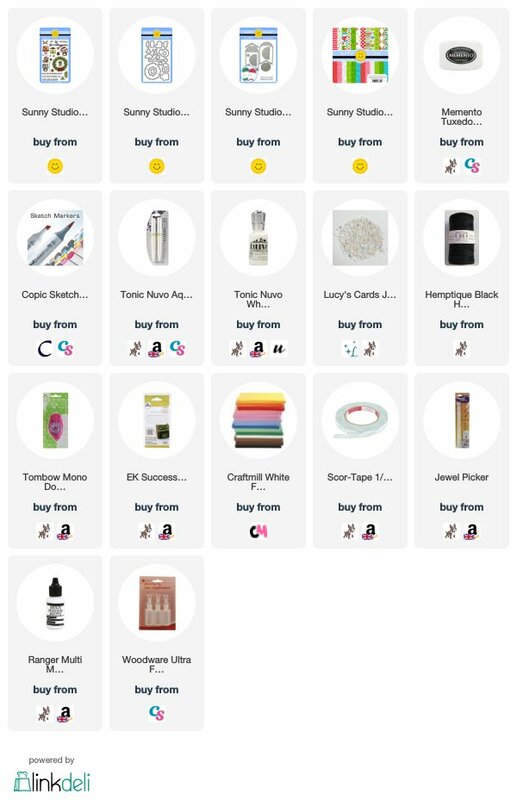 I ordered the tag sets and am happy to see your ideas for using them. delightful projects - love the cute tags! That set of owls just had to be added to my wish list. So cute. Thank you for sharing your card. These little owls are SOOOO CUTE! I love how you colored them and made little tags too! Your card is cute. I love the added details of the string snd blue dots. Too cute! Adorable tags, and amazing coloring. Super Adorable!!! I love your tags!!! So very cute. Especially the tags. Thanks for sharing your idea. Fantastic card and tags! I really especially love your coloring on the first card and how you added some soft blue dots for the background it just makes it pop! Adorable card and tags! The owls are some of my favorites from this release and the one inside the gift box is too cute! I love how well these images fit on the tags. Fabulous release! I love all of the owl pieces! They are just so cute!!! Adorable card and tags! Such a sweet image and lovely designs. Cute, cute,cute. I’m loving that little owl. Love 'OWL' of your projects! Lo e little critters, and your owls are so sweet! 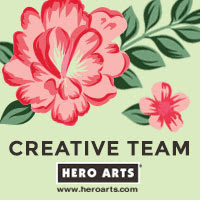 Your coloring is beautiful, and your projects are all just fab! Thanks for sharing, and ha e a blessed weekend. Hugs!!! I just adore your projects and the owl is so sweet! I love the owl card, it's so cute!! The owl tags are phenomenal!! I'm always looking for new ideas for tags!! So so cute~ I especially love your tags! I love the owl card so much too, you did a fantastic job! Thanks for sharing! Your card and tags are so cute! Love the little owls! Very cute tags & card. The card is really sweet, but I absolutely love your tags - these tiny owls are perfectly sized for them! Thanks so much for the adorable inspiration! Absolutely adorable! These owls are darling! Love the softness and clean designs you created! Thanks for the inspiration Michelle! Have a wonderful day! 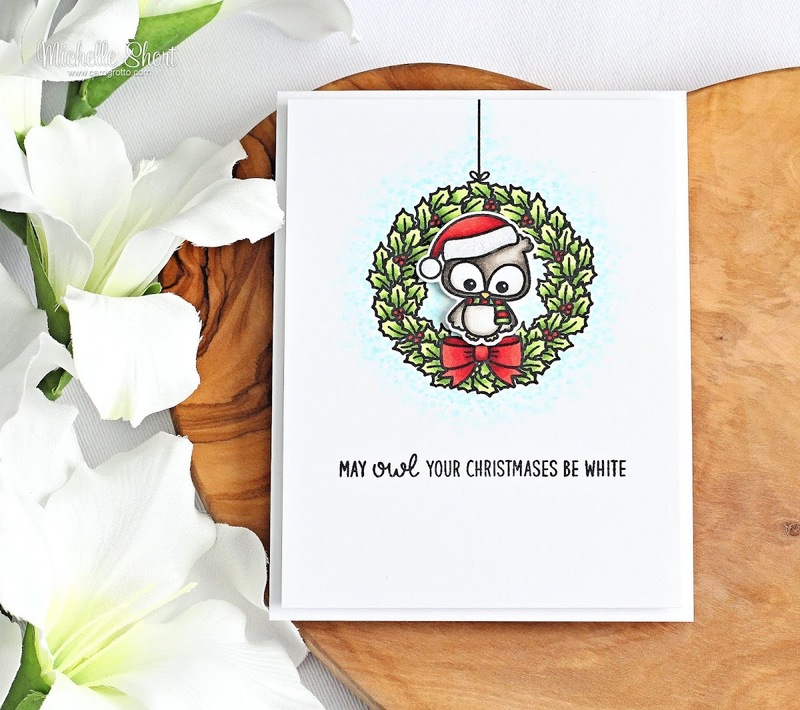 Your tags are super cute and your card is fantastic! I just love all the critters that Sunny Studio makes and I love seeing so many of them in your designs!! Lovely card and tags ! Your little tags are so cute. Love your card and tags! I am in love with that cute owl! Thanks for all the inspiration! This is an awesome release! I love it all. And you really made beautiful projects with it! Thanks for sharing. What a great idea to use the owls on your projects! I love the way you blended the color behind the wreath and the tags are adorable! Hi Michelle! Your owl wreath card is adorable...really like the way you drew the eye in with the blue dots surrounding the wreath! And oh my goodness the tags are 100% pure sweetness...how versatile too :) Thanks for sharing your ideas!!! Love your card and tags!! They are all so cute! I really like the look of the blue dots around the wreath. You have got some beautiful tag inspiration going on right here! I LOVE this idea! All of your tags and cards looks so amazing and crisp and clean! Big wows all around! What a great card and tags..love these sweet owls. luv the tags! these owls are soooo cute! So cute. Love your adorable owl projects. Your projects are so cute! I love that little owl! Love the cute little tags! Thanks for sharing! This owl set has been really popular (with good reason), and I'm loving seeing everyone's different takes on it! And honestly, what could be better than having an owl pop off your tag on a Christmas present? So adorable! Thanks for sharing your ideas and projects with us. Love the owls! Thanks for sharing! Your card is adorable I love the owl sitting on the wreath. 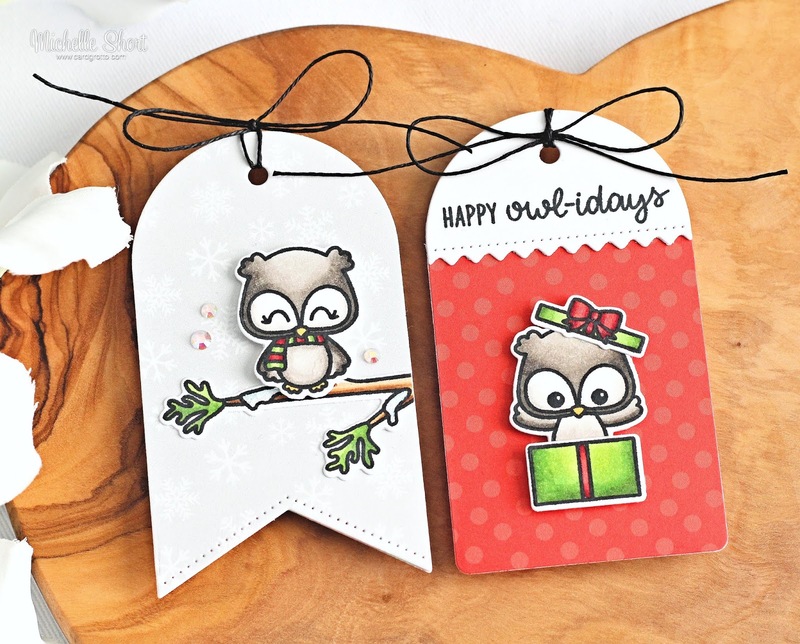 Your Build A Tag tags are adorable too, I just love the Happy Owlidays set. Love your ideas. The tags are awesome. WOW!!! These both turned out too cute! I'm always a fan of your beautiful clean style and these projects didn't disappoint. Thank you for helping us celebrate our 3rd birthday. Love ya! Beautiful CAS ard and the tags are so cute!! That little owl looks perfectly perched on that festive wreath, and those tags are so pretty, they just might outshine the gift they are attached to! Cute, cute tags and super adorable card!! The coloring is amazing and everything is just so well done!! These new Sunny Studio Stamps products make me smile!! Thanks for making them shine!! Adorable card and tags. I absolutely love those owls! 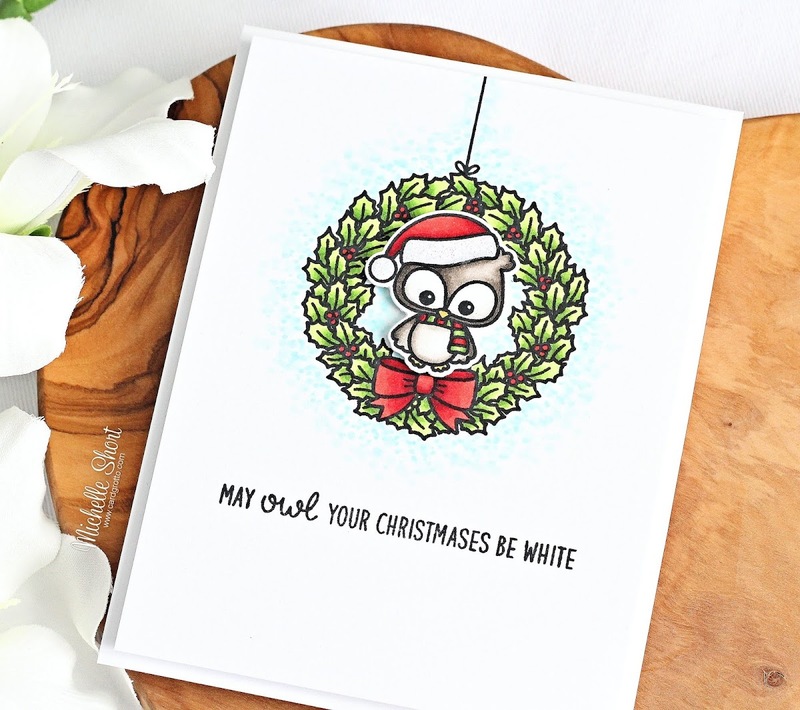 Pretty card with the owl and Christmas wreath! I'm crazy about the gift tags. Got to have those! Thanks for sharing. Fun owls, beautiful coloring and great projects! Fabulous job thank you for sharing! Love your card and tags! They are precious as all your projects are. Adorable projects! Love those sweet owls! Those owls are so precious. Those new tags are super cute. The owls are so cute and awesome projects! Your tags are so cute. Thanks for inspiration me today. These are so incredibly sweet and perfectly colored. These owls are so cute and I love the sentiment on the card! Looks like I'm not the only one obsessed with the Owl's. These are so so cute. Great job.